The 46th minute of Tipperary's defeat to Dublin in last month's league quarter-final brought a huge roar from the crowd. 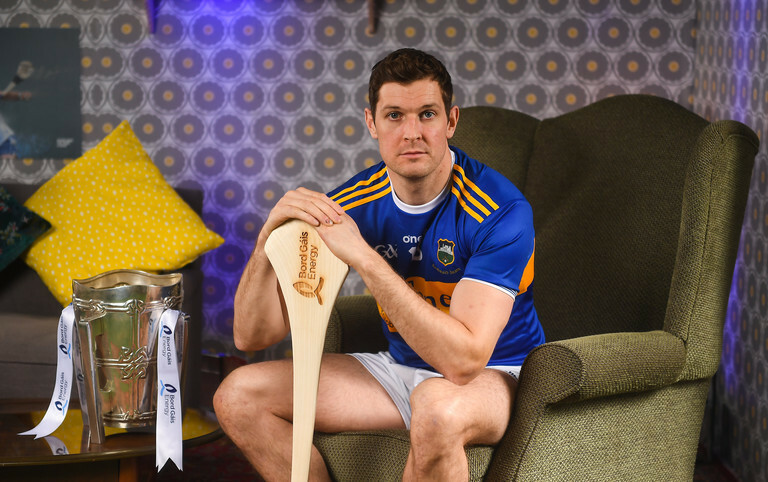 Brendan Maher, the 2016 All-Ireland winning Tipp captain, was making his to action after nine months out. Last summer, during his side's final game of the championship against Clare, Maher suffered a major injury setback when he damaged the ACL of his right knee. Maher hasn't just come back according to teammate and Tipp captain Seamus Callanan, he's come back stronger. "Brendan has shown his character by coming back from that injury," said Callanan on Thursday at a Bord Gáis Energy event. I suppose the physical conditioning that he is in after coming back from that injury [is great]. He didn't come back in poor shape and only trying to start from there, he came back in better shape than he was ever in. "He's a real inspiration, as he always was on the hurling field; he was an inspiration on his comeback," continued Callanan. "When we were training away, we just knew that he was working as hard, if not harder. "It's always harder when you are working in your own. He was putting in huge effort and still leading by example in everything he has done. "It's great to have a bit of game time into Brendan in the last game of the league. Hopefully, he'll come through the club stuff well and healthy. He's a huge boost to us - he's a great guy on the pitch and off the pitch and just hugely valuable to the set-up." Callanan is also glad to have Eamon O'Shea involved once again with the county's backroom team. It was announced in February that O'Shea would be taking up a support role to manager Liam Sheedy and his staff. O'Shea, who was part of Sheedy's All-Ireland winning coaching team in 2010 and subsequently managed the county between 2013 and 2015, has not yet had any considerable involvement with this year's panel. "I've often said Eamon has been huge for me and huge for that group, the older group that's in the panel," said Callanan. "It's great to have him back around. "Eamon gave me the freedom to go out and express myself in training, become the best play I could be. He believed in me. He's a very intelligent man about hurling and I love the way he looks at hurling and views hurling. We had a connection on that. "He's very good to all the players. He makes you enjoy it. When you are enjoying your hurling, you always seem to play better. He brings a great positive mentality around the place."